With water scarcity increasingly prevalent worldwide, businesses are far more aware that not only is water a precious resource, but that it should not be wasted and can be harnessed again. Aquabio assists with this forward thinking strategy and provides innovative technologies to treat and reuse industrial wastewater, helping companies achieve their corporate responsibility targets in combination with reducing water consumption and associated costs. Aquabio is now part of the highly respected Freudenberg Group and is a pioneer in industrial waste water treatment and management, most notably in Membrane Bioreactor (MBR) technology and water recycling and reuse. The company has developed the implementation of water recycling within a wide range of industries, notably in the food and beverage sector, which is a significant water user. With water scarcity worldwide an increasing concern, there is a need for industry to address the impact of its water consumption. One method to reduce water consumption and enable growth is to effectively utilise existing on-site resources and curb effluent output. Aquabio’s AMBR LE™ solution with reverse osmosis and UV filtration treats industrial effluents to high grade water quality for reuse, significantly reducing the water intake and discharge volumes along with the associated water footprint and costs. 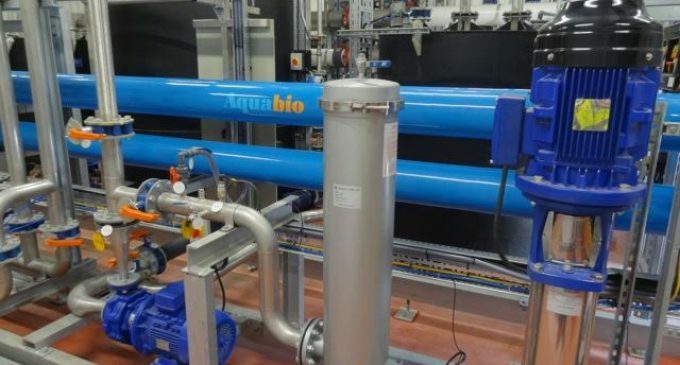 Aquabio has successfully applied its proprietary approach to membrane bioreactors and water reuse in numerous applications since 2001, including the first potable reuse applications in food and beverage in the UK and US. The technology is very versatile and has already been widely used for a number of blue chip companies including Muller Dairy, Chivas Brothers, Bakkavor, Unilever Marmite, Butcher’s Pet Food, Bairds Malt, Shepherd Neame Brewery and Wyke Farms. For example, a recent constructed plant for Muller at Severnside, Gloucester utilises Aquabio’s unique AMBR LE™ Membrane Bioreactor (MBR) and is the largest application of its kind in the UK. The AMBR LE™ with reverse osmosis processes produce effluent of a high enough quality to be re-used in industrial application, or discharged to stringent watercourse requirements even after concentration in the reverse osmosis stage. Some 60 percent of waste water at the new plant will be treated to potable standards for reuse. The plant will have the capacity to recycle 550 million litres of water per year. This is enough water to supply the daily demands of over 10,000 people. The AMBR LE™ process involves the use of back flushable cross-flow type membranes for the separation of biomass from the treated water which guarantees high flux rates with optimised economic and reliable operation. Use of ultrafiltration membranes provides a complete barrier to suspended solids thus ensuring high quality final effluent, guaranteed for watercourse discharge and providing ideal water quality for downstream reverse osmosis treatment to deliver high grade clean water. 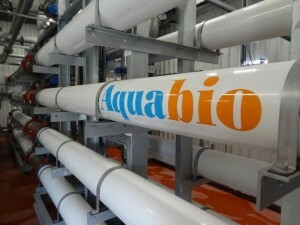 In 2015 Bakkavor, the leading international manufacturer of fresh prepared foods, also appointed Aquabio to assist with its sustainability goals and commissioned construction of a state-of-the-art wastewater treatment and water recycling facility at its Cucina Sano business in Boston, Lincolnshire. The plant is designed to treat wastewater from the production process to ensure full compliance with stringent requirements for local watercourses. Furthermore it incorporates additional treatment to high grade potable water quality for reuse within the facility. The plant is due to be operational this year and will be the fourth plant installed by Aquabio for Bakkavor. AMBR LE™ technology helps companies achieve waste management targets set across the industry and realise significant water consumption / discharge savings at a relatively low capital cost. Aquabio implements a wholly integrated solution which helps business to dully appreciate the value of water within the factory production lifecycle. 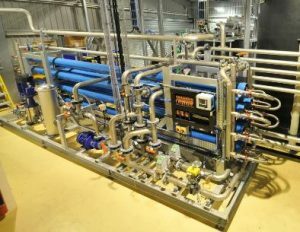 This unique approach has ensured that Aquabio is recognised as a company that has the capability and to provide high quality, robust wastewater treatment and reuse solutions coupled with total confidence that these critical goals can be achieved for the entire supply chain. For further information contact Aquabio on Tel +44 (0)1905 641966 or visit www.aquabio.co.uk.